King’s Transfer Van Lines has been family owned & operated since 1922 - providing professional moving services to our loyal clientele throughout the west island of Montreal. We offer experienced movers along with a fleet of specifically equipped vehicles of various sizes to suit your needs no matter where in the west island you are moving. From the long established areas of Montreal West, Dorval, Pointe Claire throughout to the quiet riverfront communities of Beaconsfield & Baie d'Urfe – King’s has the crew & equipment to get your move done safely & efficiently. Not only do we offer premium services, we are fully insured & registered with the CSST to protect our clients from any uncertainty that may arise. 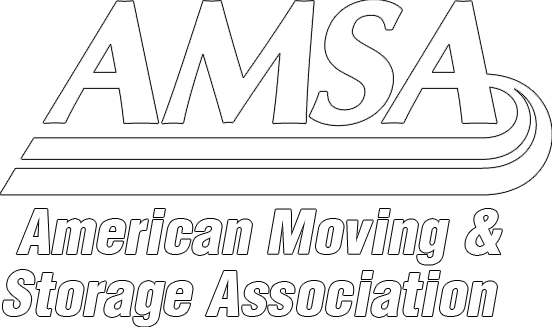 This is a point that cannot be stressed enough: Whenever enlisting a mover always be sure to verify these claims, or you could be directly held responsible in case of an accident within your home! We are long established members of the Canadian Association of Movers, registered with the Better Business Bureau (A+ rating), and are a founding member of Atlas Van Lines Canada! Once you have confirmed the location of your new home, our professional staff of certified moving consultants can assist you in assessing & preparing for your upcoming move. Depending on the circumstances / size of your move, we provide free detailed in home evaluations if deemed necessary. For your peace of mind all King’s Transfer staff are subjected to background checks via security firm Sterling Backcheck before entering your home. To help you avoid any unnecessary stress coming up to your move, we also offer trained crews that can handle any level of packing you may decide on partaking, and crating services for fragile oversized items. We offer moving & storage to all of the Montreal's west island communities including Dollard des Ormeaux, Pierrefonds, Kirkland,and out to the towns of St Anne de Bellevue & Senneville at the tip of the island. We also serve off the west island as well including and outward to Hudson, St Lazare, and Vaudreuil as needed. King’s Transfer also offers white glove services that include: Cross Canada Moving, Short Term/Long Term Storage, Specialists in USA/Canada Moving, and Overseas Relocation. The West Island area is one of the larger sets of sprawling suburban communities on the Island of Montreal. The area offers a diverse selection of residential areas of varying types (from modern condo towers to small riverfront bungalows in historic areas), and access to the full Montreal transport system including the underground Metro system via a public transit system serving the area & to the downtown core of Montreal. The town of Dorval is home to the Pierre E. Trudeau International Airport, and also offers access to the VIA Rail system that services the Windsor - Toronto - Ottawa - Montreal - Quebec corridor for exceptional business commuting options. The communities offer a primarily bilingual (both English & French speaking, and anglophone (english speaking) combined population of over 230,000 (comparable in size to cities such as Windsor, Kitchener, or Regina) which makes it a popular area of interest for people seeking to relocate to Montreal from outside of the province of Quebec. The area is also home to number of large corporations (including Matrox, CAE, Assante, Ericsson). Education wise the communities are overseen by two separate school boards that include nearly 100 elementary schools, 24 high schools, and two CEGEPs for college level studies locally. Medical faculties include hospital & CLSC access. Sports facilities & open green park spaces are found extensively throughout the areas. Another attraction to the West Island for potential home buyers is the diversity of the towns themselves. From Beaconsfield, Baie D'Urfe, and Senneville along the river/lake fronts that offer homes that date back to the 18th century, to the more cosmopolitan districts of DDO, Pierrefonds, Roxboro, and Kirkland developed in 1960's & 70's, to the widely developing contemporary areas of St. Lazare, Vaudreuil, and Ile Perrot - a home suiting your style & needs can be found. We can move you locally, across Canada, across the border, or anywhere around the world to the West Island. We have two fully equipped storage warehouses in Montreal, our own fleet of trucks, experienced packing crews, and our fully equipped staff that are ready to assist you. Extrêmement satisfait avec le service de Transports King. Notre déménagement de Westmount à Senneville était complètement sans problème. Nos remerciements à Real & son équipe pour leur patience! Movers arrived a bit late in the morning because of traffic, but life with with snow is life in Quebec! Guys worked through a snowstorm covering everything completely before taking it to the truck. Same at the new house. What else can I say? Will recommend any day. Great job!